Savings Bonds which are also known as Series EE savings bonds and I savings bonds provide a tax-free way to save money long-term for retirement or college. Backed by the Federal government, the instruments supply investors with a way of earning interest on their money that is tax-free until the bonds are redeemed. If your employer has a payroll savings plan, you can have a certain amount deducted from your check each pay period if you wish to buy Series EE bonds or I bonds. You can also set up an account at www.treasurydirect.gov. The most common types of bonds issued, Series EE bonds are available for purchase at half the face value in denominations of $50, $75, $100, $200, $500, $1,000, $5,000 and even $10,000. Therefore, if you wanted to double your money and had $5,000 to invest, you could do so in about 20 years, which is the amount of time it takes for these types of bonds to mature, or any series EE bond issued on or after May 1, 2005. Bonds issued after May 2005 increase in value every month and can be redeemed after a year. However, you incur a 3-month penalty for redeeming the bonds before five years. For example, if you hold a bond for 2 years and cash it in, you will receive the amount of purchase plus 21 months instead of 24 months worth of interest. Paper EE bonds can only be purchased at the bank and new bond rates are set May 1st and November 1st of every calendar year. Rates are determined by the 10-year Treasury note yields at the time and are compounded semi-annually. A cap has been set on how many bonds you can purchase annually as well. With respect to EE bonds, you can only purchase a maximum face value of $10,000 in paper EE savings bonds per year and a face value of $10,000 in electronic EE bonds. The I savings bond program was implemented on September 1, 1998 with the intention of protecting investors from inflation. You can purchase I savings bonds in the same denominations as EE bonds. However, I bonds are purchased at the face amount. Like EE bonds, you are limited to how much you can purchase annually and can only buy $5,000 in electronic I savings bonds and $5,000 of paper I bonds per year. All I bonds stop earning interest income after 30 years and have rates that are determined by a composite rate, based on a fixed rate combined with the rate of inflation. Like EE bonds, I bonds cannot be cashed in before a year. The only exception to the rule is when a Federal Disaster is declared. Nevertheless, anyone cashing in these bonds before 5 years will be assessed a 3-month penalty on the interest earned. If you want to guarantee that you will have a nest egg for college or for your retirement years, then investing in EE or I bonds is a good plan. Bonds offer an excellent lesson in budgeting and can help you realize your long-term savings plans. 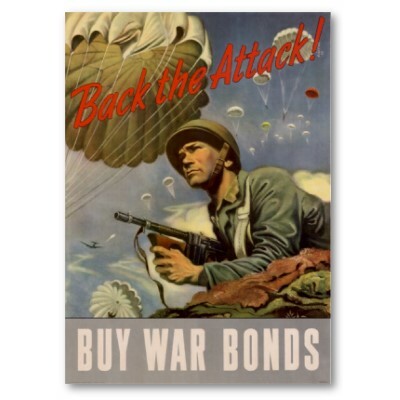 I like the idea of bonds, but as much as I hate to admit it I am starting to worry about having some insurance of government solvency over the long term… that would lead to disaster in more ways than one. Still, I got a bond for my nephew as a baby gift and it was really appreciated. Next post: Are Your Personal Finances Spinning Out Of Control?